Quandoo connects diners with the best restaurants through the fastest-growing restaurant reservation platform globally. Quandoo is a table reservation system for restaurants and a convenient way for diners to discover new places to eat, book tables online, get exclusive deals and offers and review their experience. Browse the Quandoo range via the 'Shop Now' button to earn Cashback on all of your restaurant bookings. 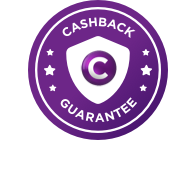 Bookings made through the Quandoo App are not eligible for cashback. Cashback is paid out on an approved booking. Find local food deals near you on Quandoo, plus earn cashback on your bo..